Please complete the form below and your enquiry will be sent directly to KabelJoe's Seafood Restaurant via email. Your enquiry has been sent to KabelJoe's Seafood Restaurant. A Unique Informal family Seaside/Harbour Restaurant with some of the best views in the world. Travel the world’s most scenic route, Clarence drive, and find us located in the world’s greatest biosphere. 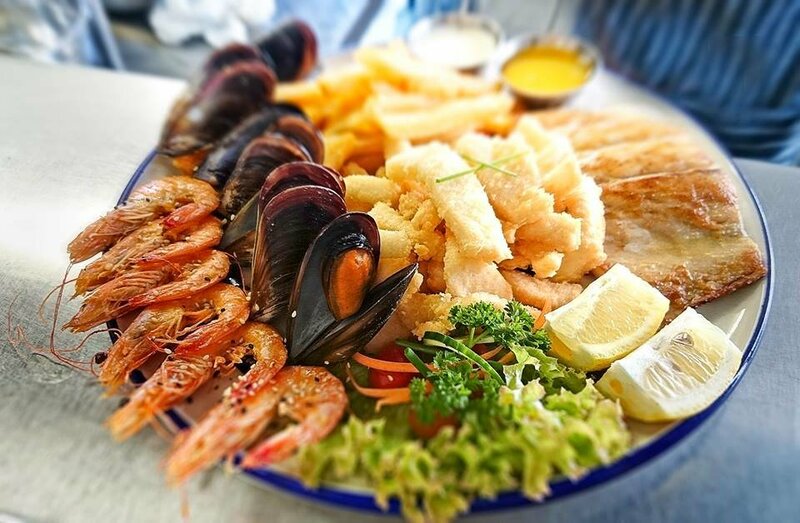 With our beautiful year-round peaceful setting, and perfect location by the sea, it is no surprise that you will find seafood, fresh from the ocean made with care. 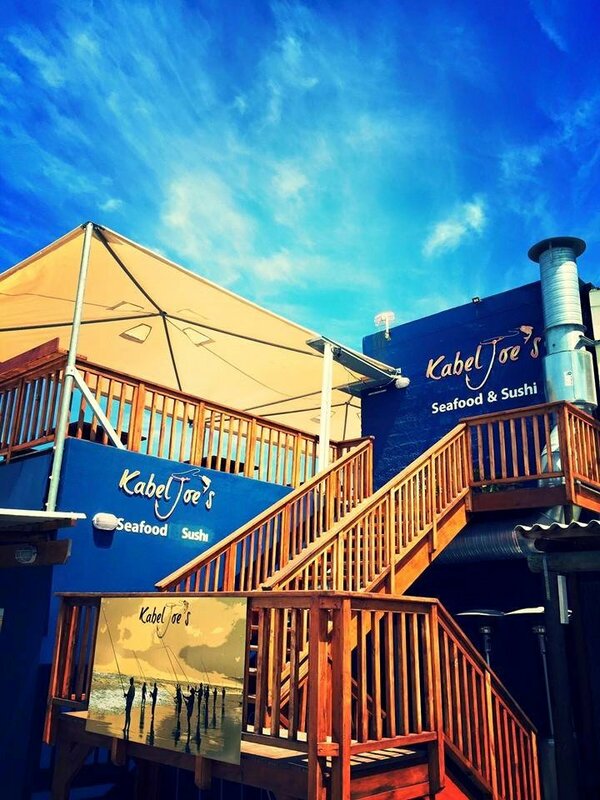 KabelJoe's offers discerning seafood lovers a daily menu of hearty and delicious fare with a unique KabelJoe’s twist from our kitchens. KabelJoe's meals are crafted to bring out the delicate and delectable flavours of each fish and crustacean. KabelJoe’s introduced an extra menu of 11 Different Home-made Burgers for the non-seafood eaters accompanying the Seafood Lovers in 2018, and with no surprise it is made with the same care and love from the kitchen. 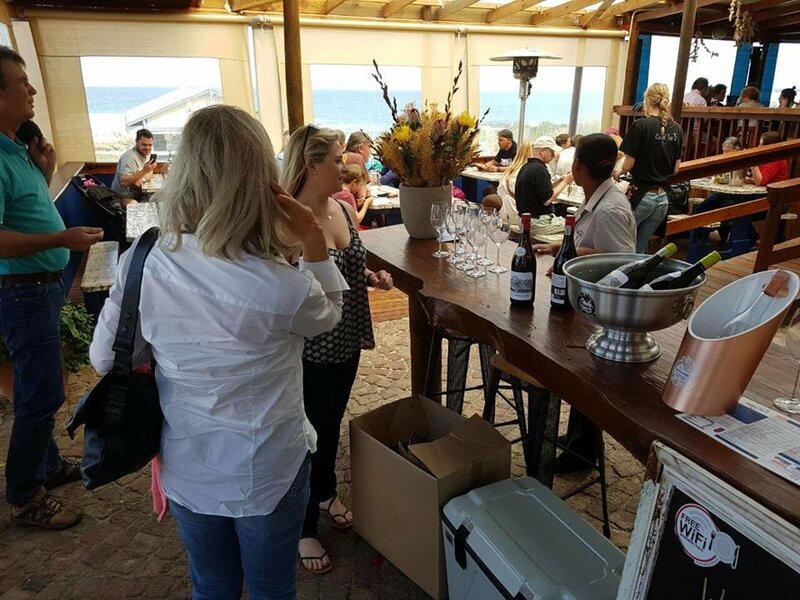 KabelJoe's extensive open-style seating area is located on the outdoor terrace of the restaurant, providing an easy and relaxed environment for both weekdays and weekends. As is befitting of KabelJoe's, the terrace overlooks tranquil blue waters of the Kleinmond Harbour. 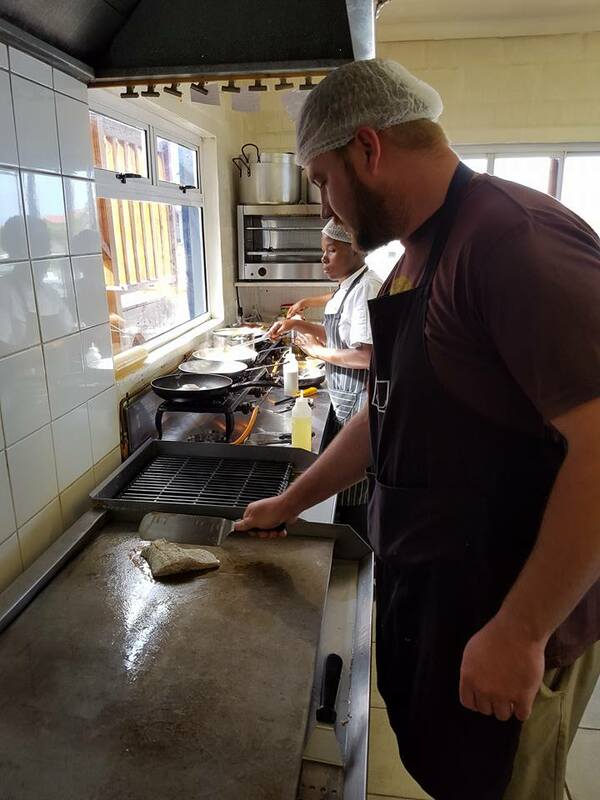 Line Fish of the Day(SQ) - Fresh line fish of the day pan fried to perfection, served with your choice of any two of chips, rice, salad or vegetables with KabelJoe’s famous tartar sauce or lemon garlic butter. 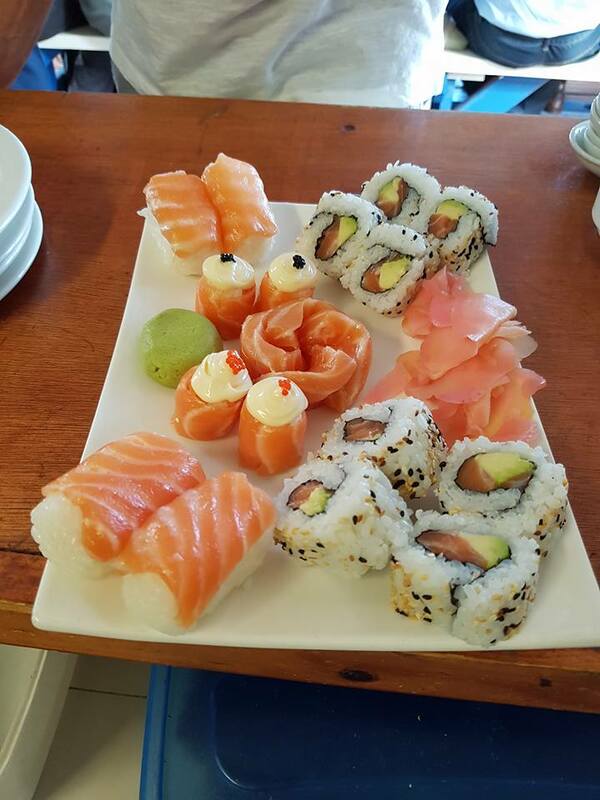 Ask your waiter about our selection of line fish. 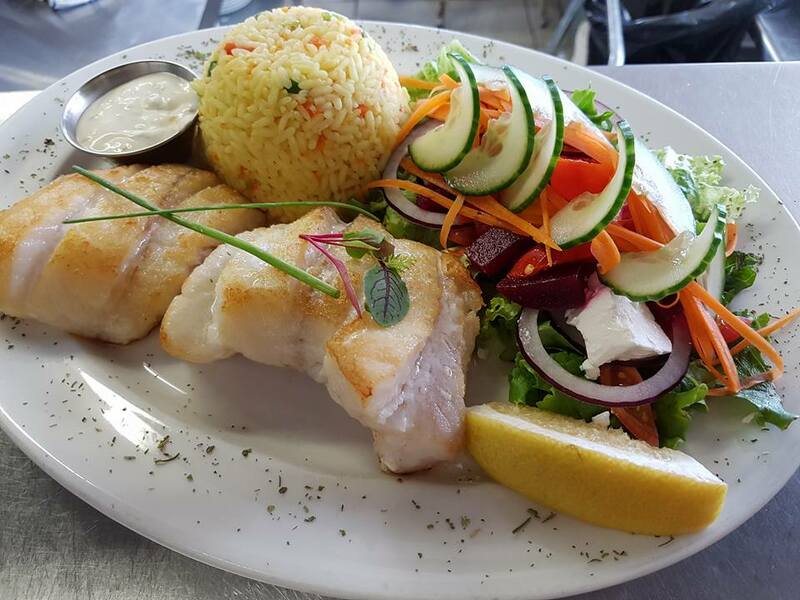 Kingklip SQ - Kingklip fried and served with your choice of chips or rice and salad or vegetables complimented with KabelJoe’s tartar or lemon garlic butter. Description : Here's the full KabelJoe's Seafood, Burger, Sushi & Beverage Menu.